One year ago today, a series of dozens of tornadoes caused a wide path of destruction through many areas of Alabama. Almost 250 were killed. Recovery efforts are ongoing, with Jewish groups from across the country coming to help rebuild homes near Birmingham and Tuscaloosa. About 20 members of Temple Beth Or in Dayton, Ohio, recently spent Spring Break working on tornado recovery in Pratt City, near Birmingham, as the region continues to rebuild from the April 27, 2011, tornado outbreak. 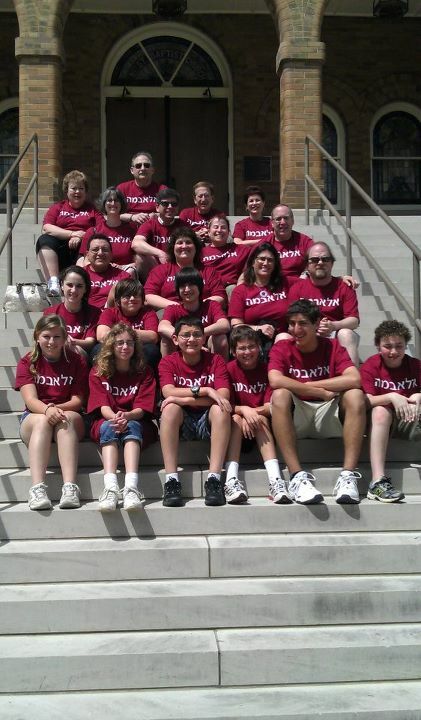 They are pictured above on the steps of the historic 16th Street Baptist Church, with Hebrew Alabama T-shirts from the Birmingham Jewish Federation. 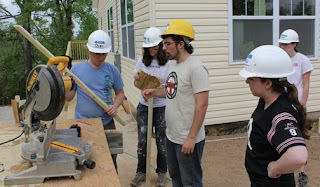 They worked with Christian Service Mission in rebuilding efforts. 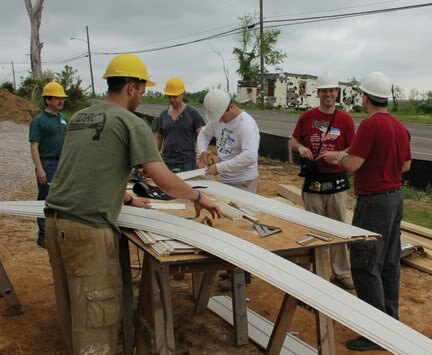 Members of the Temple Beth-El Brotherhood in Birmingham spent a day working in Pratt City in late March, while a few blocks away students from the Hillels at San Diego State University and the University of California-Santa Cruz worked to finish Mary Patterson’s home. 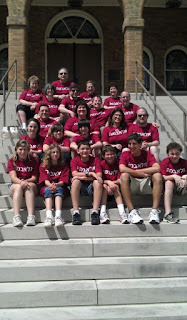 The Hillel groups were among those coordinated by the Jewish Disaster Relief Corps, which is being housed at Knesseth Israel. The Jewish groups have been working side by side with Islamic Circle of North America relief groups.